Young Beautiful Mom With Her Daughter Wearing Blank Gray T-shirt And Jeans Posing Against Rough Concgrete Wall, Minimalist Street Fashion Style, Family Same Look, Clothing For Parent And Child. Royalty Free Fotografie A Reklamní Fotografie. Image 73348885. Reklamní fotografie - Young beautiful mom with her daughter wearing blank gray t-shirt and jeans posing against rough concgrete wall, minimalist street fashion style, family same look, clothing for parent and child. 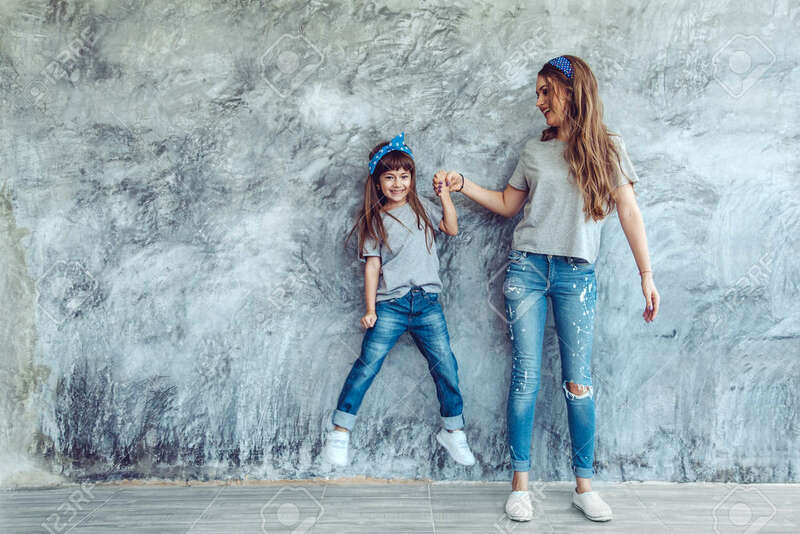 Young beautiful mom with her daughter wearing blank gray t-shirt and jeans posing against rough concgrete wall, minimalist street fashion style, family same look, clothing for parent and child.